Has a light to medium reddish-brown color, though there can be a fair amount of variation in color. 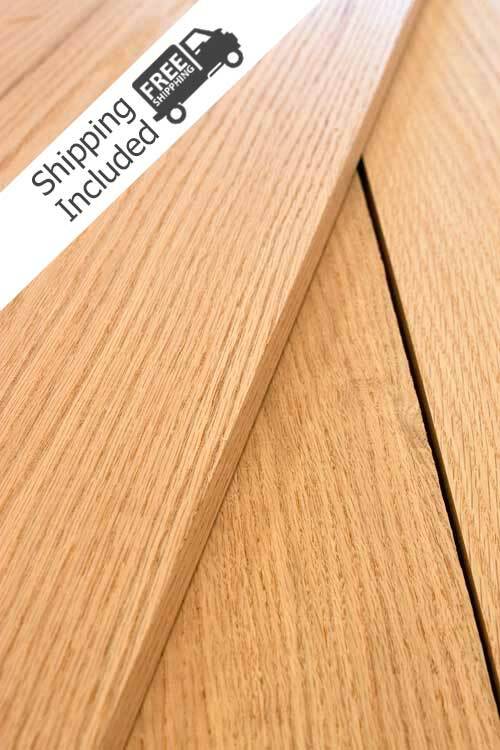 Red Oak Lumber Project Packs | 10bf | 25bf – You can specify widths & lengths in the order notes. Please use our board foot calculator to see what sizes fits within your request. Red Oak or Northern Red Oak has a light to medium reddish-brown color, though there can be a fair amount of variation in color. The sapwood is white to light brown. The principal use of Red Oak is for cabinetry, furniture, interior trim, flooring, veneers and specialty items.